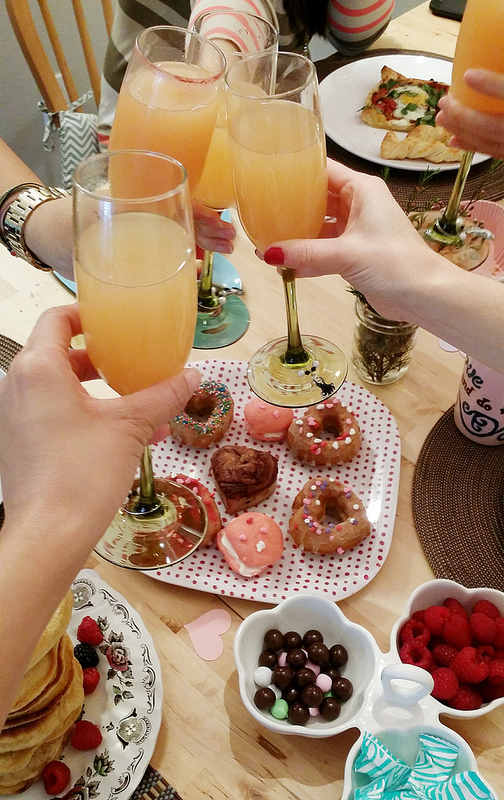 My roommate Ashley and I hosted our second monthly Brunch Club. You can read more about our first brunch here. 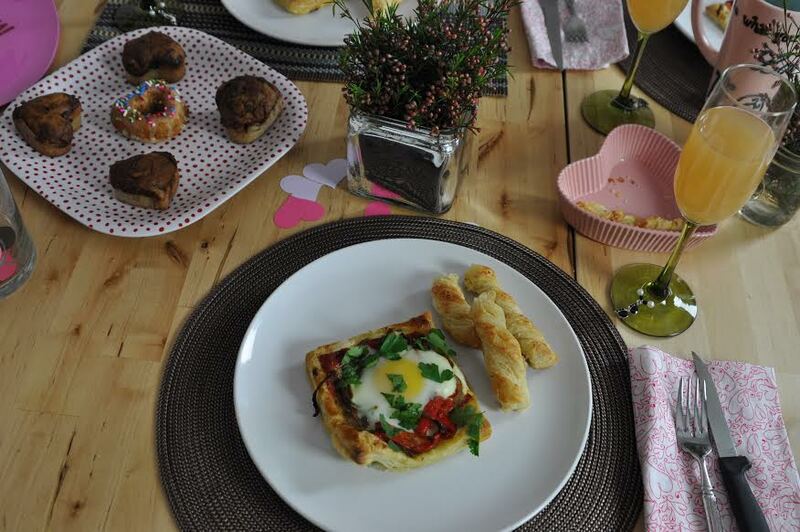 I commandeered this month’s hosting from Anita because I wanted to have a Valentine themed brunch. Since childhood, I’ve been freakishly into Valentine’s Day. I often get asked how I afford the travel and eating out that I do and there really isn’t real secret other than pay attention to prices, try to eat in, prioritize experiences over material goods, and be creative with what I already have. 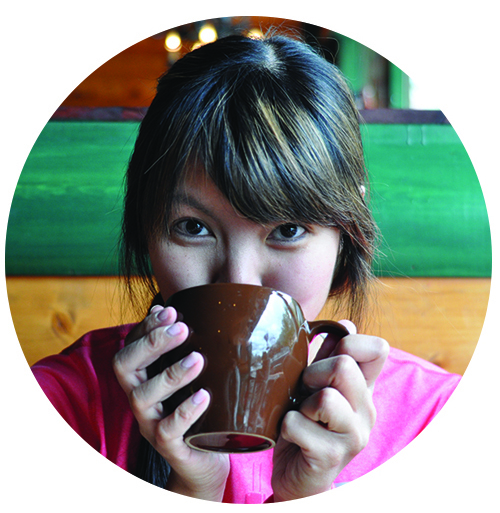 One of this year’s goals is to be more mindful with my money after spending 2014 like it was one big buffet and vacation. 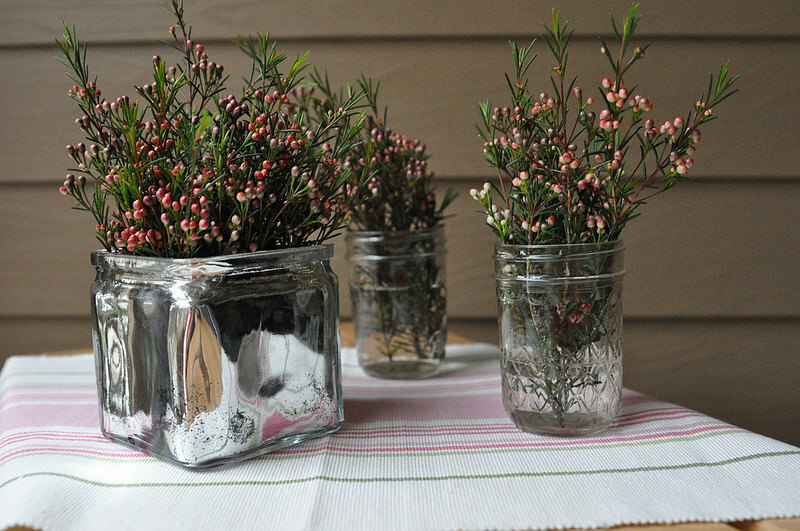 I opted for 3 dollar filler flowers from Trader Joe’s for our table accents. A coworker had these paper decorations from a party he hosted and had no further need for them. 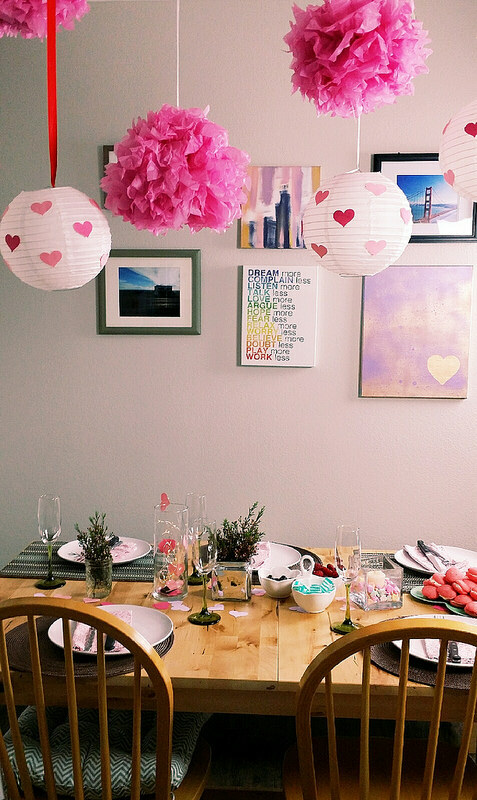 He gifted them to me and I glued the paper hearts to the paper lanterns. The wall originally had a photo gallery of travel photos with a dominant color of blue. The deep blues clashed with the hanging decorations so I rearranged my wall hangings to break it up. I had a painting I wasn’t in love with so I spray painted it with colors I already had and stenciled a heart to add to the Valentine theme. The flutes were a dollar store score. I made egg tarts; Anita made heart shaped donuts using this Joy the Baker recipe and nutella banana bread. Ashley baked pink whoopie pies, and MJ made Japanese hot cakes. Grapefruit mimosas were consumed, much to my dog’s dismay. 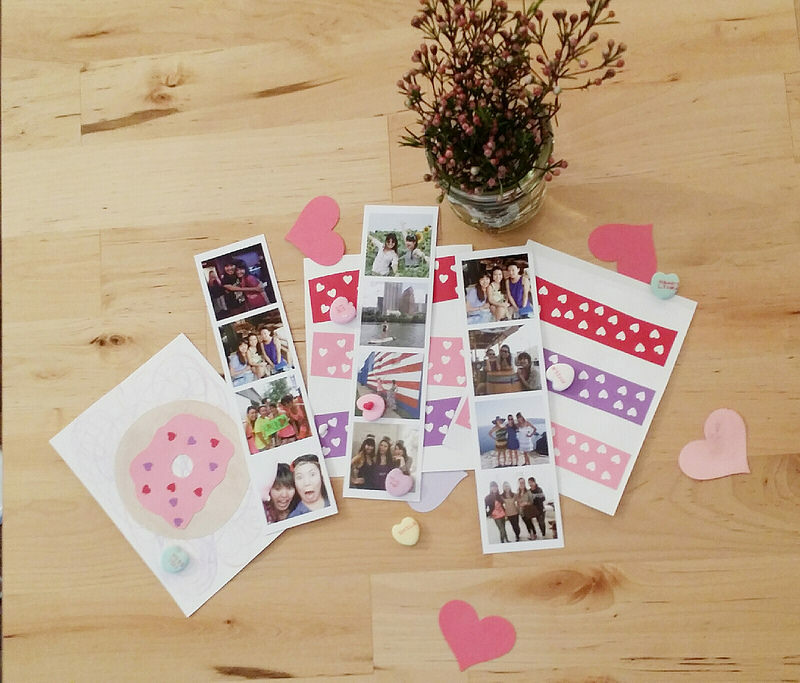 Anita made us adorable Valentine’s Day photo booth style cards. She used Artifact Uprising for the printing. What I love about our Brunch Club is it’s a chance to catch up with my girlfriends, drink champagne and coffee, stay much longer than we would at a restaurant, try new recipes, and instagram without guilt. P.S. 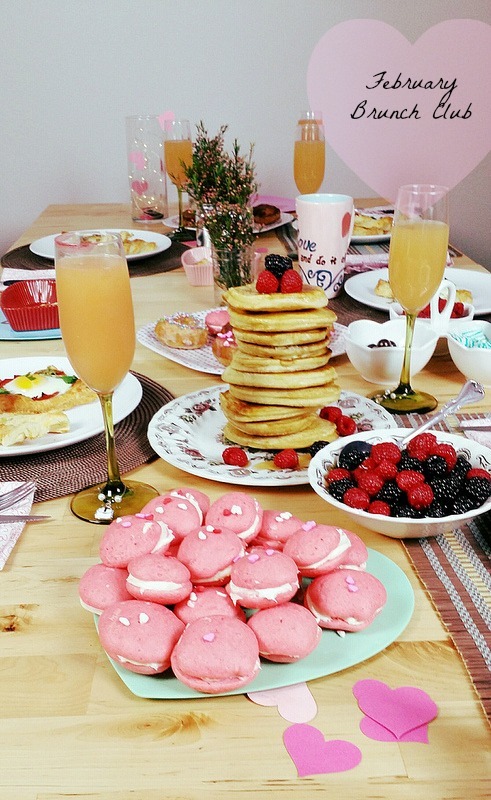 We have a Brunch Club inspiration Pinterest Board.